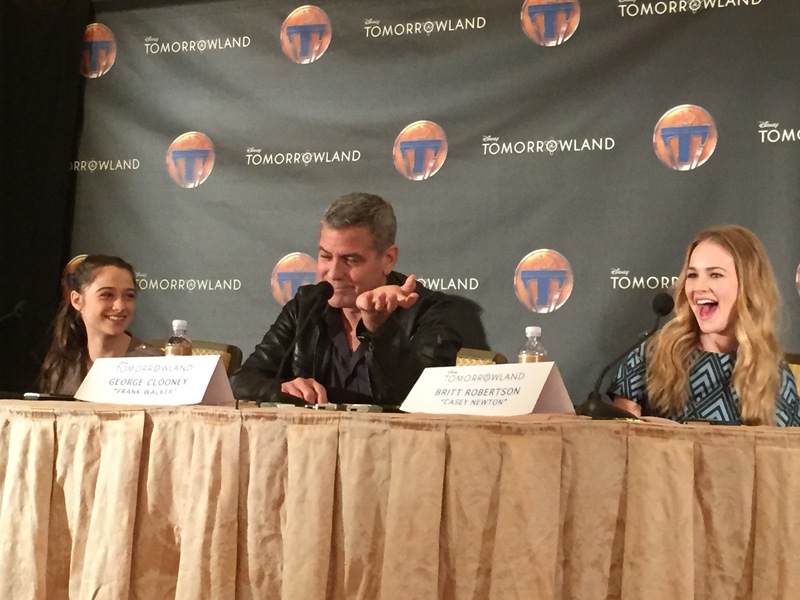 Will There Be A Tomorrowland Movie Attraction at the Theme Parks? But there were touching, serious moments in the press conference also. It was obvious that for the cast and especially for George, Brad, and Damon, they had a fervent interest in showing us a brighter future. To say we can make this world a better place. One of the stories that Damon LIndelof told us that inspired the movie was about Walt’s constant drive to do something to inspire people to a better tomorrow. He talked about Walt’s passion for Epcot and how he wanted it to be a real working city where innovation was part of everyday life, where new ideas would be cultivated and shared with the world. And then suddenly, Walt was in the hospital and Damon told us, “But on his deathbed, he was looking up at the ceiling and pointing out how the city would be laid out. and the fact that he was, to his last moments, dreaming about this future and making crazy ideas happen, and be real, and accelerate the pace of that, was very moving to me. And if the movie caught even a little bit of that, I think we will have succeeded.” If that is the measure of success for this movie, it has already succeeded. 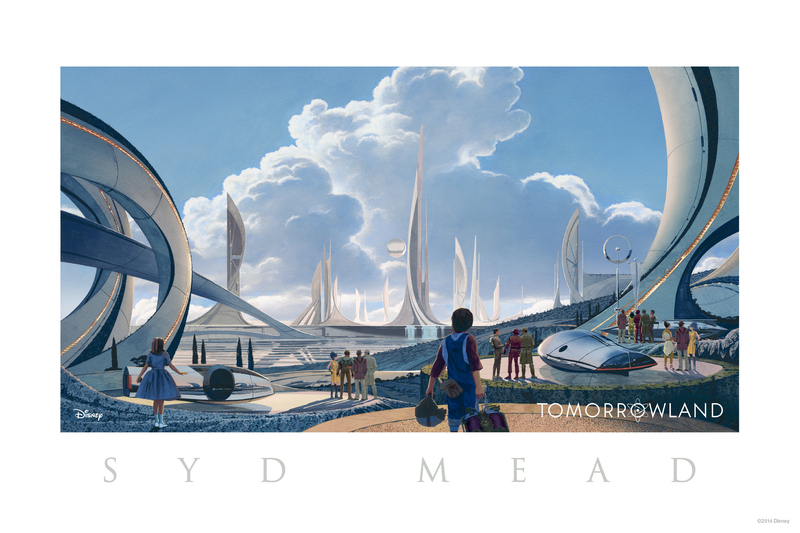 How might the new movie, Tomorrowland, impact Disneyland and Magic Kingdom? 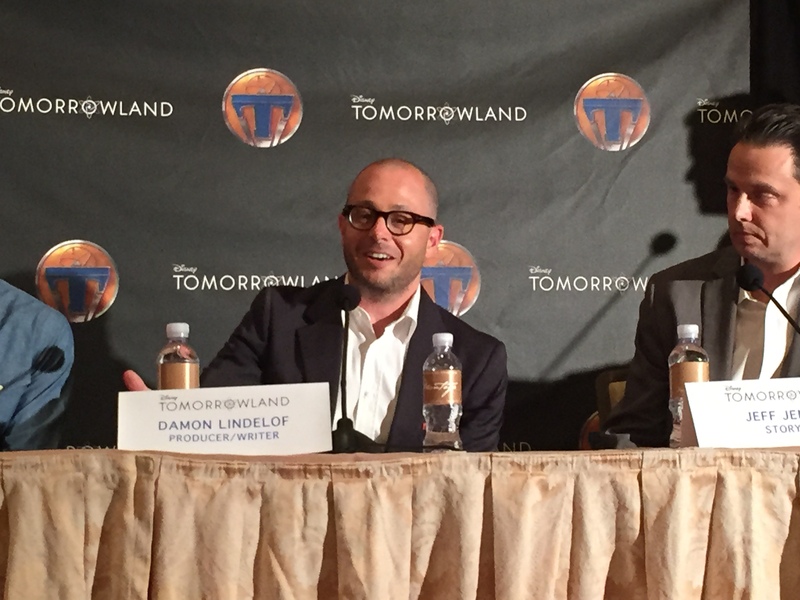 Craig, from Disney Nerds, had a chance to ask the movie creators and cast members at a recent press conference. The bottom line, it all depends on how well the movie does at the box office. Are you planning on seeing seeing this movie? The Mature Mouse™ will be in the theater this weekend!